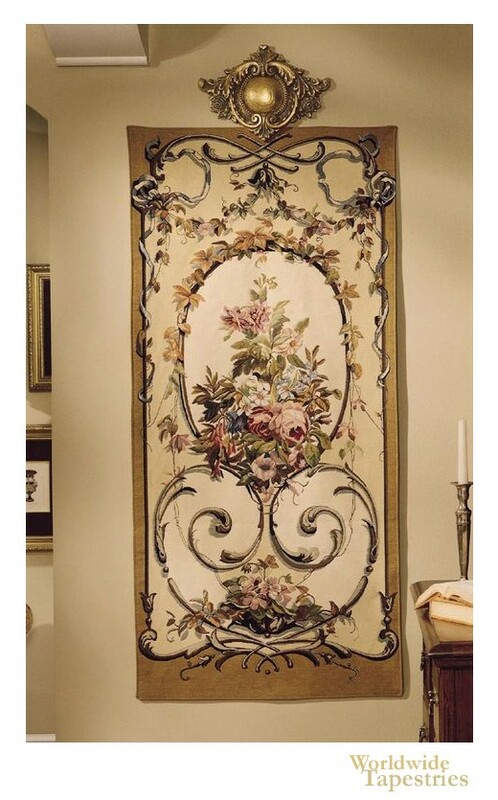 This portiere tapestry "Lauren Gold" shows a floral and foliage design from Belgium. This piece shows the traditional style of portieres used was tall, narrow wall hangings to hide doors, and to decorate castle walls. The central design is surrounded by an earth gold border. This elegant tapestry "Lauren Gold" is backed with a lining and has a tunnel for easy hanging. Note: tapestry accessories, where pictured, are not included in the price.